Classic tunes and vintage vibes await with the best selection of rock and roll wedding bands for hire here with Entertainment Nation! 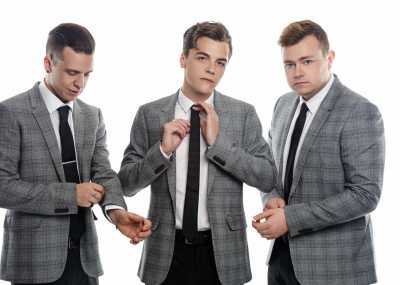 Whether you're indulging in a 1950s wedding theme or just adore our stylish 50s rock and roll wedding bands for hire, our acts are here to make your big day sensational with an electrifying and unforgettable performance. Who doesn't love a rock and roll band? 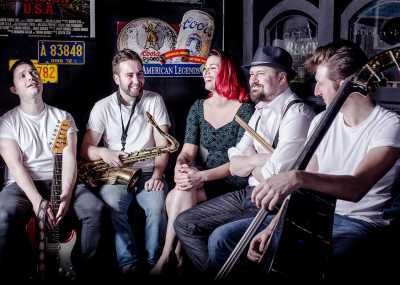 Vintage glamour, infectious toe-tapping backbeats, silky-smooth basslines, heart-lifting rhythm guitar and exciting horn sections - rock and roll isn't just a musical style, it's a statement! 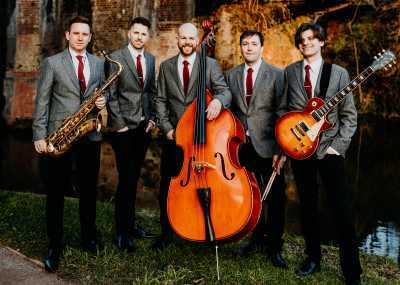 Our totally professional and talented musicians are here to bring concert-level performances to your big day with huge repertoires from the stalwart classics for your 60s wedding to the modern rock and roll masterpieces. A truly sensational selection awaits your discovery. Our profiles section gives you everything you need to create your dream rock n roll wedding or simply give your big day the excitement of some classic jukebox wedding band masterpieces. Browse the profiles and hit the enquire button when you discover a band you love, or give our friendly team of entertainment advisers a shout. We're here every day from 10am to 10pm by phone, e-mail and live chat to answer your questions. 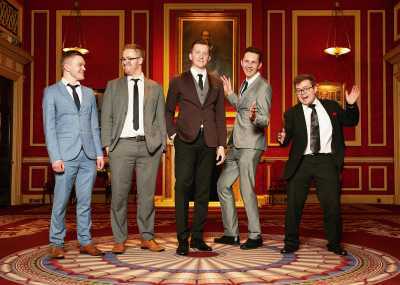 Why Hire a Wedding Rock and Roll Band? 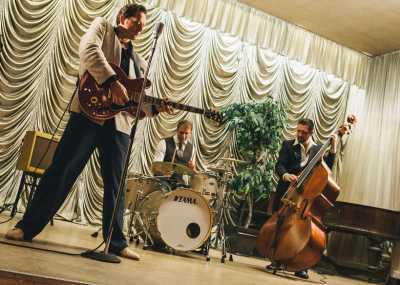 Nothing can match the sensation of live music on your big day, and our rock & roll wedding bands for hire deliver electrifying shows every time - especially for your 1950s themed wedding! 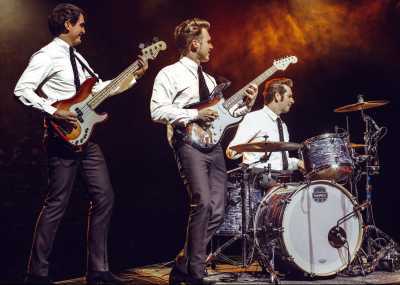 The excitement starts from the moment the van rolls up to your venue, and builds as the members rush back and forth, setting up on stage, sound testing and getting their retro outfits ready (if that's what you've specified!). Then comes the romance of your first dance, learned just for you - an unforgettable moment you'll cherish for years to come. 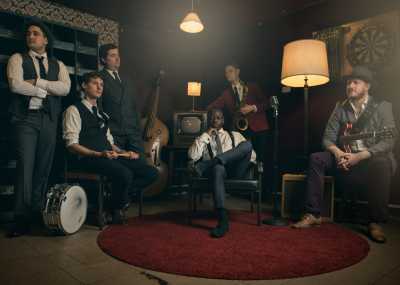 Nothing matches the push and pull of a vintage rock and roll band, and everyone will be bopping and jiving when they start blasting out their optimistic tunes! How Much is a Rock and Roll Wedding Band to Hire? 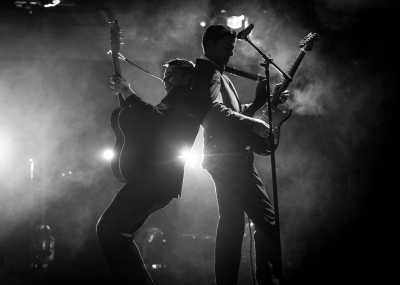 The price of rock and roll wedding band hire will vary dramatically depending on a number of factors - the size of the band, the number of requests, the distance they have to travel, and the amount of time they play! Trios might cost anywhere from £860 to £1800 respectively, while 4 and 5-piece bands can cost up to several thousand pounds. Whatever your budget, you can be reassured that we'll work to find an act that'll fit your requirements. Our enormous selection of rock 'n' roll wedding bands are vetted by our industry professionals, so whether you book a band that's large or small, you're not compromising on quality - we represent only the best bands in the industry. 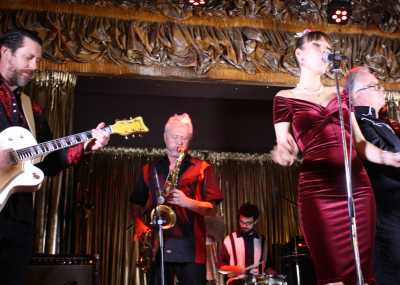 What Will a Rock and Roll Wedding Band For Hire Play? 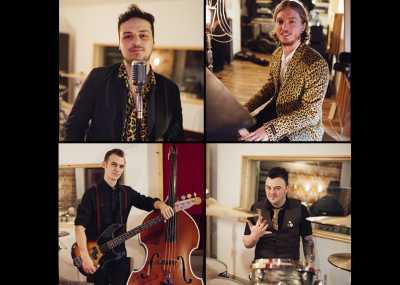 When you book a rock & roll wedding band, you've probably got one thing in mind - feel good, dance-worthy music that'll have your guests jiving through the night! While many rock and roll bands will focus on the iconic rock and roll era of the 1950s and 60s (perfect for your 50's style wedding!) 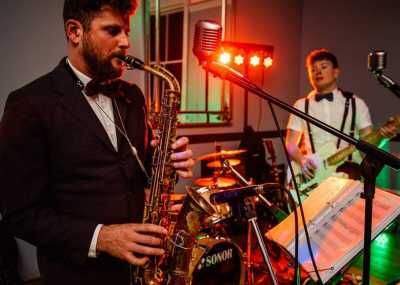 the genre isn't confined to the years of Buddy Holly or The Beatles - many rock and roll wedding bands will take modern songs and rework them into their own signature style to give you an evening of songs all your guests will recognise. Rest assured that our bands have years of experience and know exactly how to work a crowd and fill a dance floor. All generations can get behind their varied set lists, and just to make sure you get the night you want, many of our groups will be in touch and let you choose which songs you want to hear! What's included When You Hire a Rock and Roll Wedding Band? Due to the variety of instruments and their stage-show level performances, a typical package when you book rock and roll wedding bands includes PA and lighting equipment, playlist music between live sets and a performance of your first dance or a special request. Every band offers something different, so make sure you read their profiles to find out exactly what they offer in their wedding package. You can expect lots of optional extras too; acoustic sets, manned DJ services, additional singers and musicians, and even specialised outfits are all things our bands have been known to provide - have a browse and find out what's on offer! All that separates you from a comprehensive quote for your chosen band is an enquiry form at the bottom of their profile - once you've completed it, our team will be in touch as soon as possible. Our secure online payment systems and comprehensive booking contracts give you total peace of mind, meaning you can leave all the hassle to us, and spend more time putting together your dream day!